We dissect why companies must encourage and reward employees who raise concerns, not punish them. In recent months, the U.S. Securities and Exchange Commission's whistleblower program has garnered numerous headlines touting landmark awards granted to whistleblowers. These awards reveal the prevalence of misconduct and the power of insiders to uncover it, and that’s good for investors, companies and the public at large. But the program’s new space in the sun has shed light on an unsavory reality: Some employers take the reporting of misconduct more seriously than the committing of misconduct. This is dangerous. In my experience, too many companies have secretive cultures that reflexively retaliate against employees who report wrongdoing in the workplace. Oftentimes, the reaction of otherwise responsible organizations to whistleblowers is far more insidious than the possible misconduct originally reported. Fortunately, the SEC is hip to these troubling tendencies and is ready to pounce. In September, International Game Technology, a casino gaming company, agreed to pay $500,000 to settle charges of unlawful retaliation against a whistleblower. This landmark case represents the first time the SEC has brought an enforcement action exclusively for retaliation, without a traditional underlying securities violation. According to the SEC, IGT fired an exemplary employee who raised concerns about the company’s use of standard cost accounting for refurbished used parts. In addition to discussing the issue with his superiors, the employee reported his concern regarding potential misconduct via the company’s internal reporting hotline. A subsequent internal investigation found no wrongdoing in the company’s accounting procedures. However, according to the SEC, the company took various actions against the employee to impede his career advancement and eventually fired him. Acknowledging that employees might not have detailed understanding of complex legal regulations, Congress designed the whistleblower rules with a wide scope of protections. In fact, since the establishment of the whistleblower program, the SEC and other advocates of the program have worked to establish the broadest, most robust protections for whistleblowers. In August 2015, for instance, the SEC issued interpretive guidance to clarify that Dodd-Frank anti-retaliation provisions apply equally to those whistleblowers who report potential violations internally. Despite this progress, there are still significant hurdles to overcome. As the IGT case illustrates, the scourge of workplace retaliation undermines the culture of integrity in our workplaces. 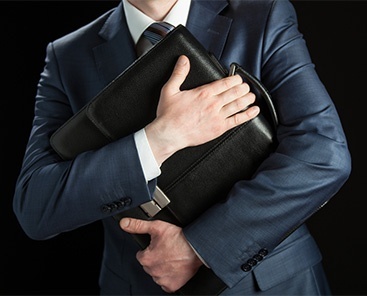 According to the Ethics and Compliance Initiative’s National Business Ethics Survey (NBES), more than one in five survey respondents who reported workplace misconduct said they suffered retaliation. Not only is actual retaliation prevalent, but the fear of possible retaliation acts as a powerful force to silence whistleblowers. More than one-third of the survey’s respondents who declined to report misconduct said they feared retaliation from senior leadership. The fear is not misplaced. Some employers have adopted sophisticated legal tactics—most notably illegal confidentiality agreements—to discourage individuals from reporting wrongdoing externally. In a survey of financial services professionals, which my law firm conducted in collaboration with the University of Notre Dame, 16 percent of survey respondents said their company's confidentiality policies and procedures prohibited reporting potential illegal or unethical activities directly to law enforcement. One out of every 10 respondents reported they signed or had been asked to sign a confidentiality agreement that specifically prohibited reporting potential illegal or unethical activities directly to law enforcement. For those with annual salaries over $500,000, that number rose to 25 percent. In this arena too, the SEC has responded swiftly and strongly. In 2015, the SEC brought a case against Houston-based global technology and engineering firm KBR Inc. for the use of restrictive language in confidentiality agreements. Since then, Merrill Lynch, BlueLinx Holdings, Health Net and Anheuser-Busch InBev have been charged with using these types of illegal secrecy agreements. The SEC has repeatedly demonstrated the high cost of hiding misconduct. With nearly every employee empowered and incentivized to report wrongdoing to law enforcement, and able to do so anonymously, concealing misconduct becomes increasingly difficult. And we should take a good hard look at those companies that wish to. A culture that utilizes intimidation to silence the truth, rather than cure the misdeed, is corrosive at every level. Now, backed by the full strength of the federal government, whistleblowers are the best remedy against the toxic effects of corporate corruption. In understanding this new paradigm, responsible companies can harness the power of their employees to secure the health and success of their businesses. At the end of the day, companies must encourage and reward employees who raise concerns, not punish them for doing so. Jordan Thomas chairs the whistleblower representation practice at Labaton Sucharow and is a former assistant director in the SEC’s Enforcement Division, where he had a leadership role in developing the SEC whistleblower program. In addition to representing clients who tipped the SEC on the largest enforcement actions this year, he represented a whistleblower in the first enforcement action where the SEC used its new anti-retaliation powers under the Dodd-Frank Act. For the full PDF verison of this article, click here.